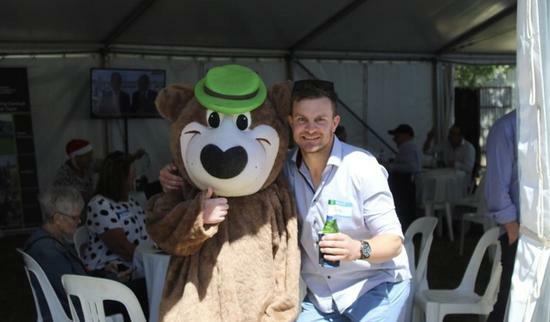 Yogi's last to first Sandown Cup win set the scene for a great day of festivities at the ATB Xmas Party. With the party organised well in advance, the ATB hierarchy were forced to stay away from Ladbrokes Park Sandown to host the 300 strong crowd that attended. But the marquee was well-equipped with two large screens giving patrons every chance of gaining a good vantage point. Silence, turned to gasps as the normal Yogi race pattern unfolded - miss the start, sit out the back. Noise levels did lift in the straight, but most of it was in hope rather than confidence. But in a wave, all that hope soon turned to a sea of cheering and clapping as the 6YO son of Raise The Flag powered to victory. "Yogi's flying, Azuro is stopping, here come's the bear!" was race-caller Matthew Hill's brilliant spine-tingling call. A great training performance by Darren Weir to keep him going through a long preparation, while Craig Williams got the job done in the saddle. It was the perfect start to what turned out to be another great day in beautiful sunny conditions at the farm - Manningtree Park. Yogi even appeared later in the day, albeit in a bear suit. Santa didn't miss the little kids, while the bigger kids got to shop when the horse parade began. 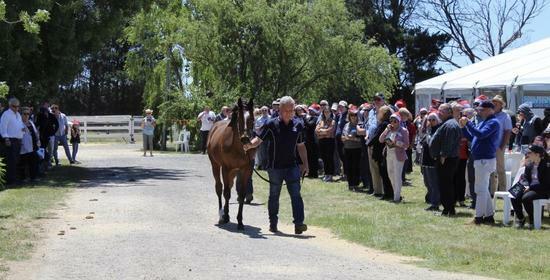 Tours around the beautifully manicured farm allowed owners to see their budding 'champions' while a punter's club sent home five patrons $500 richer. Mr Money Bags was announced 2017/18 ATB Horse of the Year courtesy of a taped phantom call by the legendary Rick McIntosh, while Phill Brittain was crowned owner of the year. And of course no one went thirsty or hungry, it was another brilliant day put on by the hosts Darren and Liz Dance. 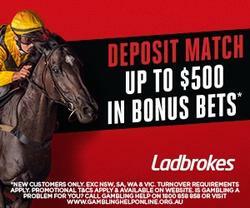 If you want to own a share in an ATB racehorse check out our sales page by clicking here.